GLS is constructing another Water Treatment Plant on this beautiful boutique Hotel in the heart of Bali lifestyle area in Seminyak. 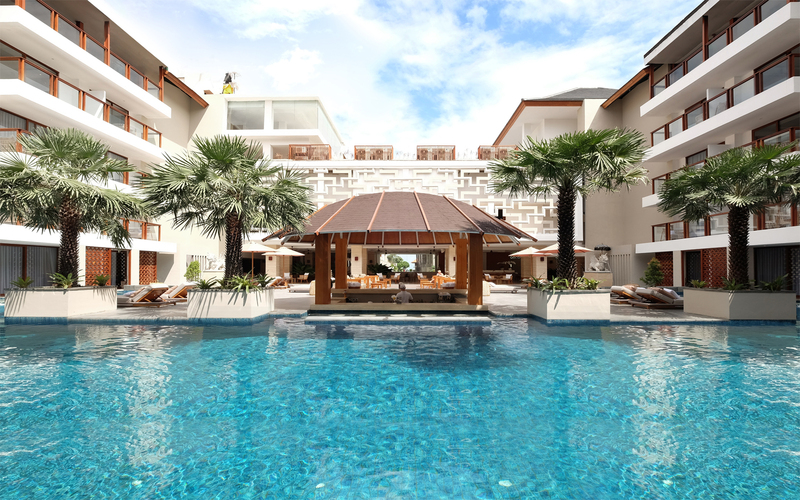 The Hotel is located right by the seaside in Seminyak, this gorgeous property in facilitating its guests in their 90 rooms and suites. The problem facing by The Bandha, the salinity of the water is increasing from time to time and there are some encrustations in water pipes. These issues causing an increase in general cost due to short lifetime of the equipment. The solution to these problems is to treat the feed water to improve the water quality. The Bandha appointed GLS to installed Reverse Osmosis package to ensure the sustainability of water quality complied to the international standard. The installed package is using SS316 skid mounted system therefore it is easy to transport and highly durable. This way the maintenance cost will decrease and hotel guests will enjoy high quality water during the vacation in this blissful resort.